Police were last night hunting those suspected of stabbing to death two pawn store workers in an armed robbery in South Auckland. Detective Inspector Dave Lynch said the two Ezy Cash loan shop workers suffered “violent deaths” and police were looking for a sharp object. Police were called to the store in Great South Rd, Takanini, at 1.10pm yesterday after a panic alarm activation. They found two people dead at the back of the premises. Last night a police cordon surrounded the Ezy Cash loan shop, where the bodies were expected to remain overnight. Road blocks were due to remain in place between Taka St and Glenora Rd while a scene investigation took place. Wally Thompson, one of the last people to see one of the victims, described a store worker, aged in his 50s, as “a great guy”. He went to Ezy Cash just an hour before the tragedy, but left because he didn’t have the documents he needed. When he returned about 2.30pm, he found police surrounding the scene. Police interviewed him and another couple also in the shop before the incident. They told the trio they were among the last to see one of the victims alive. Paris Evans, 14, was next door at Super Cheap Auto with friends when the stabbings occurred. He said he had been told a suspicious van had been parked outside. Police were appealing for sightings of a Maori or Pacific Island man aged in his 20s and a woman, whose description was not known. The pair were seen leaving the shop just before police arrived. “We are in the very early stages of the investigation and currently have very limited knowledge of what occurred at the scene,” said Lynch. Police refused to confirm how the pair were killed, or what weapon was used. The victims had yet to be identified, but police believed they worked at the store. Anyone with information should call Counties Manukau police on (09) 261 1300 or Crimestoppers 0800 555 111.
from its $1.85 billion credit line. Brian Sozzi, CEO and Chief Equities Strategist at Belus Capital, says that the size of the withdrawal is alarming. “T he number signals that right this very second, the cash burn rate is alarmingly high after a disappointing first quarter and continued store level modernization efforts,” Sozzi says. Using the credit line shows that they couldn’t wait to raise new capital through investors, which Sozzi predicted would be necessary in February. 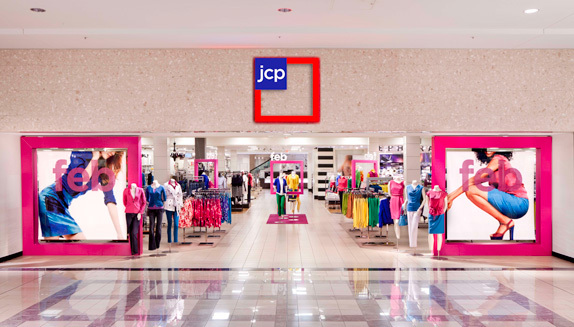 More worrisome is the fact that the firm managed to extract only $850 million on $2.3 billion in Inventory: while not completely worthless as we first suspected, it appears JPM is only willing to give JCP credit for about a third of its inventory at liquidation value. Remember that the revolver it is the cheapest financing JCP has in place which raises the question – why not draw more? Ask JPM. The company’s credit line is an “asset based loan” secured by inventory and accounts receivable. It increased the maximum amount of the loan earlier this year, but hadn’t drawn upon it until now. It comes from a number of banks including units of JP Morgan and Bank of America. The company can draw on the line of credit at any time, and only pays interest on the amount that it has withdrawn. CEO Ron Johnson stepped down last week after losing support for a radical turnaround strategy included building boutique-style shop-in-shops in stores and getting rid of promotions. The company plans to use the money to fund its operations, capital spending, and to buy inventory as it completes renovations on its stores. The press release seems to confirm that new CEO Mike Ullman isn’t scrapping Ron Johnson’s changes to the company’s stores. As we near completion of the home department transformation in over 500 stores, we have been undertaking and will continue to experience a significant inventory build and increase in capital expenditures. Even partial execution of Johnson’s strategy is going to require significant cash, so this is just the first step in a longer saga. JCPenney shares are down nearly 0.7% after trading up 3.5% in pre-market trading before the news. The housing crisis has left thousands of homes across the country in a state of neglect. Some sit empty after a foreclosure, while others have suffered because their owners haven’t had the money for repairs. But if you live in a home that needs a little TLC or want to purchase a home that needs improvements, the FHA 203(k) program may help you finance those long-needed repairs. If you’ve been browsing foreclosures, you may already have noticed that many of them need some attention. But if coming up with the cash for a down payment and closing costs is already be depleting your savings, funding a major renovation may be a deterrent to your home purchase. That’s where 203(k) loans come in. An FHA 203(k) loan requires a down payment of 3.5 percent as all FHA mortgage loans do, but the total loan amount will be based on the sale price plus the estimated costs of the renovation. An appraiser will need to estimate the “as-repaired” value of the home as part of the loan approval process. But with a 203(k) refinance, you can wrap your refinance and renovation costs into one loan. If you know roughly what your repairs will cost, you can use a mortgage calculator to estimate your monthly payments based on today’s mortgage rates and the total new loan amount. You must be an owner-occupant because this loan is not available to investors.You must meet typical FHA mortgage loan requirements in terms of your credit score.You must make a down payment of 3.5 percent or have a loan-to-value of at least 97.5 percent if you are refinancing.You will need to pay mortgage insurance premiums both upfront and on a monthly basis. While these insurance premiums can be wrapped into your mortgage payment, they do increase the cost of the loan.FHA 203(k) loan interest rates are typically slightly higher than standard FHA mortgage rates.A supplemental fee of $350 or 1.5 percent of the cost of repairs is required and can be wrapped into the loan balance.The total mortgage loan amount (sale price and repairs) must be under the maximum FHA loan limit for your area. Getting married in South Korea? Bring a lot of cash!